Three Buttons. Three Pockets. One great jacket. 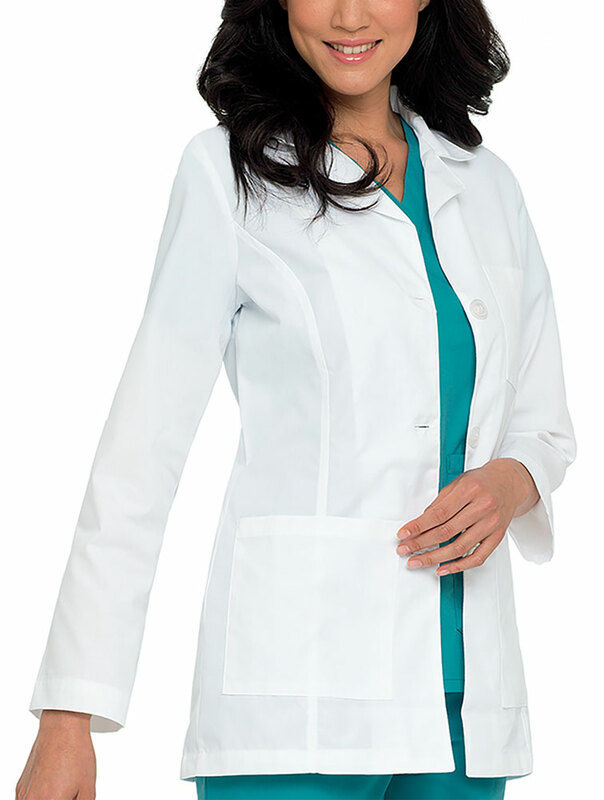 This classic three-button lab coat features one breast pocket and two large lower pockets. For style, we've added a notched lapel, button tab back belt, and front and back princess seams. 65% Polyester/ 35% Combed Cotton Medium length 31 3/8"